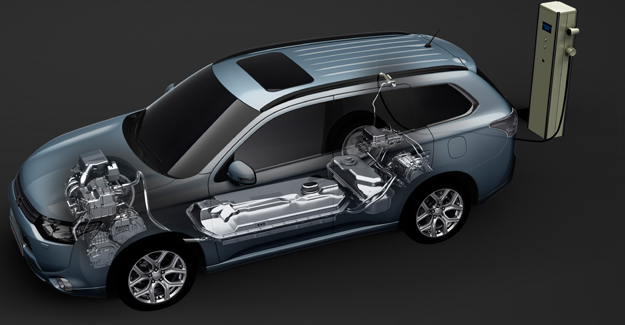 The Mitsubishi Outlander plug-in hybrid remains the most common ultra-low carbon car on the UK’s roads. Analysis by the RAC Foundation of the latest DVLA data shows there were 25,447 Outlanders on the road at the end of 2016, significantly ahead of the pure-battery electric Nissan Leaf at 14,718. Third came the Mercedes-Benz C350 e (5,890) which pushed the BMW i3 (5,858) down into fourth place in the table. Fifth is the Renault Zoe (4,974). At the end of 2016 there were a total of 83,169 licensed plug-in car and van grant eligible vehicles in the UK. This is a 74% increase on the figure at the end of 2015 (47,922). Under the government’s plug-in grant schemes: car buyers can get a grant of up to £4,500 depending on the model and van buyers a grant of up to £8,000. “Six years into the plug-in grant scheme and the case for continued pump-priming looks strong if the Government really wants to kick start the market. “Although the year-on-year growth might look impressive at 74%, it’s a rise from quite a small base, in a year when the total number of new car registrations hit an all-time high. This is the list of all 48 vehicles that are, or have been, eligible for the government’s plug-in car and van grant schemes and which were on the road in the UK at the end of Q4 2016 (the most recent date for which figures are available).